Not only has the world’s economy become global, but so have its marine species . The foreign invaders, Zebra Mussels and Eurasian Milfoil, have both flourished since being introduced into Skaneateles Lake. Their entry, in all likelihood, was through boats being launched into the lake from previous bodies of water with these aquatic hitchhikers on board. Thanks to aggressive measures by the SLA, the impact of milfoil has been lessened. 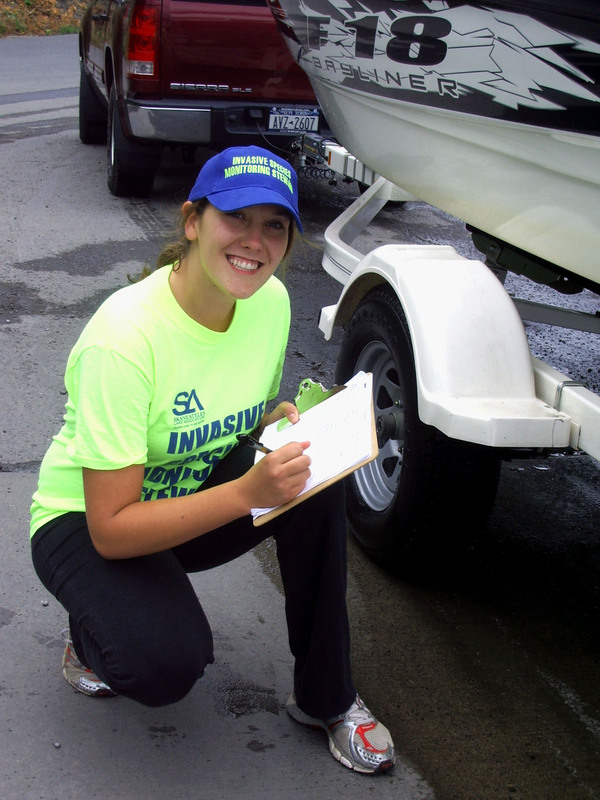 Now, Asian Clams, with their toxic algae growth, exists in neighboring Otisco and Owasco Lakes. Hydrilla, a prolific weed which can grow a foot a day and mat water surfaces, has been found in the Cayuga Lake outlet. 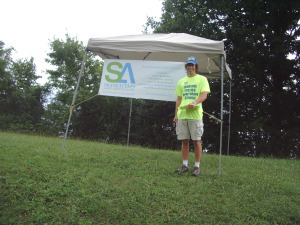 In August 2012, SLA instituted an Invasive Species Prevention Program. 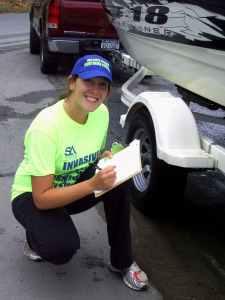 Monitoring Stewards were positioned at the New York State Boat Launch on West Lake Road and the Skaneateles Town Boat Launch at Mandana. 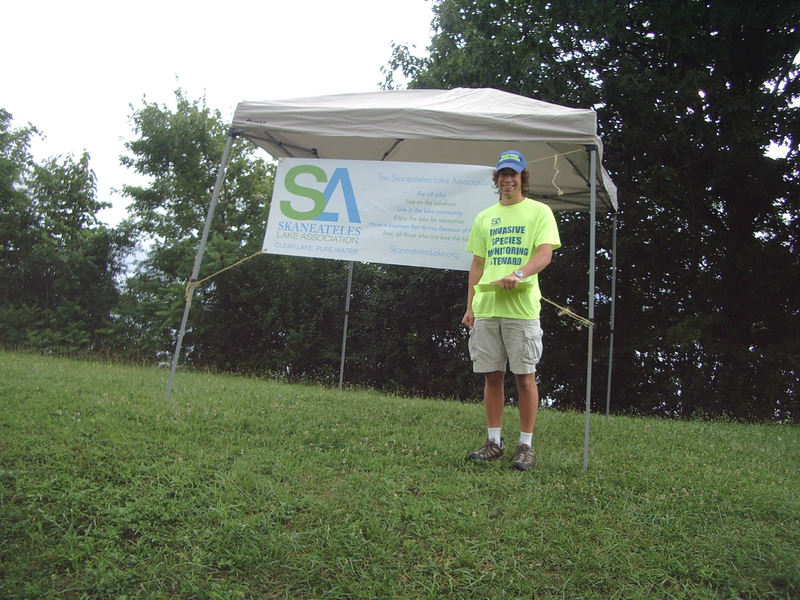 The stewards were high school and college students and received their training through Cornell Cooperative Extension. The stewards asked permission from the boaters to inspect their boats and trailers for any accompanying marine life. Any vegetation was then removed. 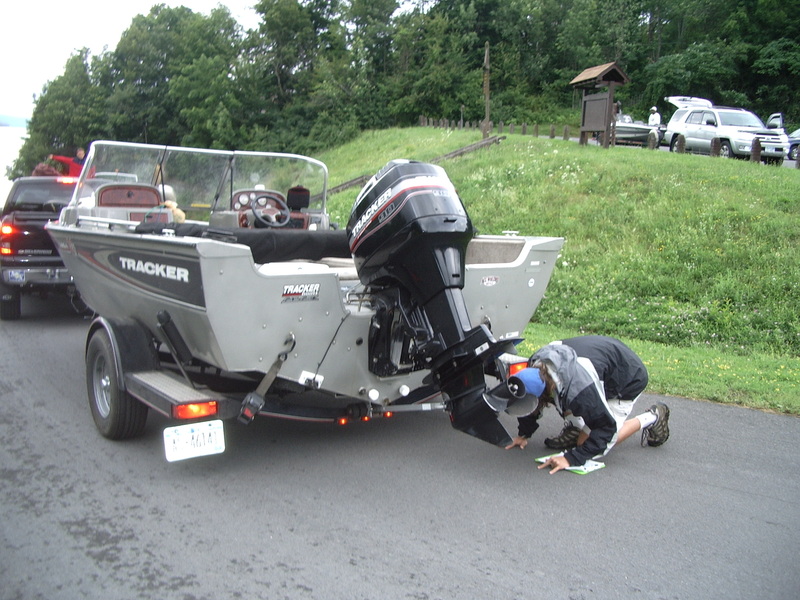 The stewards also educated recreational boaters and fishermen on the value of launching a clean, dry boat with its bilge and live well previously emptied. Most of the boat owners were cooperative and compliant with the program. The stewards also recorded data on each boat. During the month of August and Labor Day weekend, 701 boats were inspected. The stewards worked mainly on weekends. 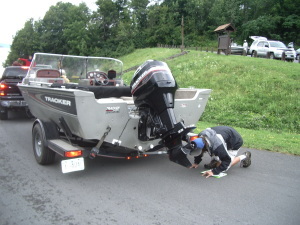 Of the boats inspected, 180 (26%) had been launched on another body of water prior to their entry on Skaneateles Lake; vegetation was removed from 42 (6%). 547 boats were used for recreation and 144 were used for fishing. Plans for the summer of 2013, are to expand the program to cover the state launch daily and the town launch on weekends. The coverage will exist from Memorial Day through Labor Day. It is also hoped to extend some coverage to the Glen Haven Boat Launch site and the Town of Scott Boat Launch. 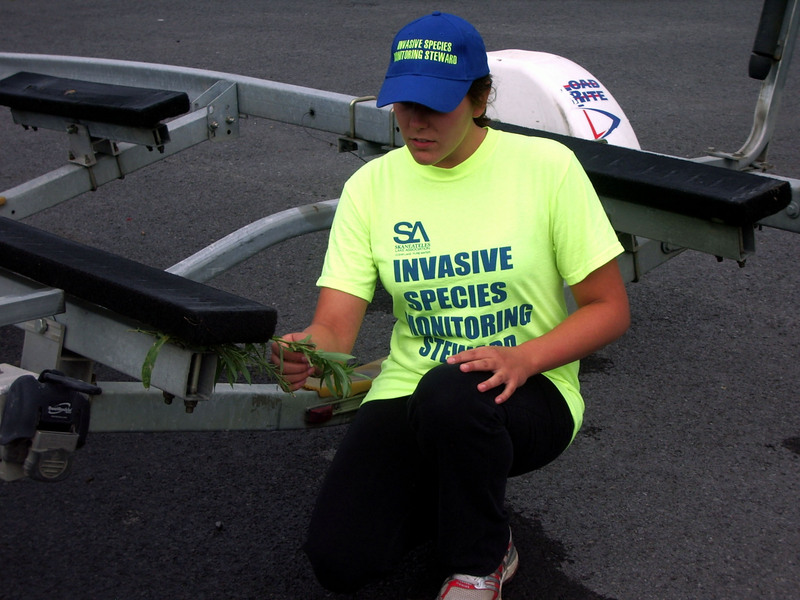 Through these efforts, SLA hopes to lessen the chance of additional invasive marine species from entering Skaneateles Lake.